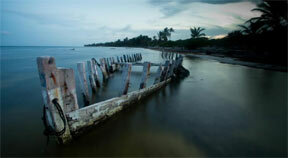 On August 21st of 2007, Hurricane Dean, the 3rd worst hurricane ever to hit land slammed into Mahahual. The small town was devastated. 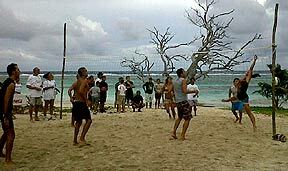 Not only was the town in shambles, the the main source of income, the cruise ship dock was damaged. 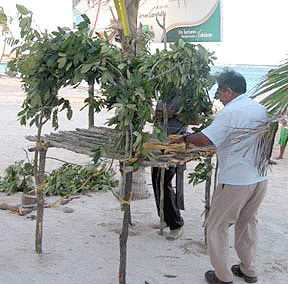 A Year later, in 2008, the annual festival of Jats'a-Ja' was created to celebrate Mahahual's rebirth. 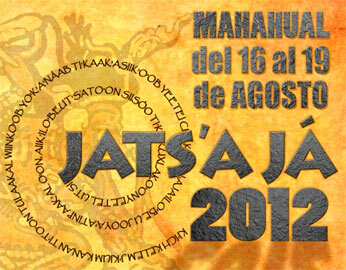 Jats'a-ja' is now held every year on the third weekend in August. . 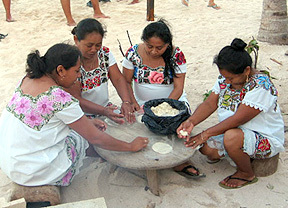 The Mayan Word Jats'a Ja' means the moisture that enters a house when it rains - there is no equivalent in English or Spanish and it has little to do with hurricanes, but it is a beautiful word for a lovely ceremony. 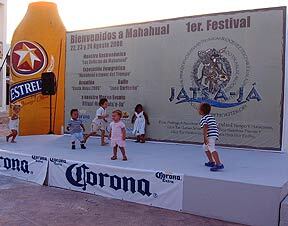 No Mexican festival is complete without very loud music, Beer and dancing! 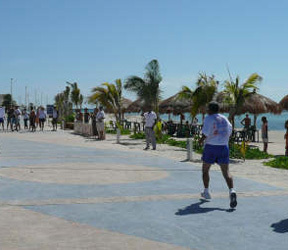 Last leg of the Triathlon, running down the Mahahual Malecon. 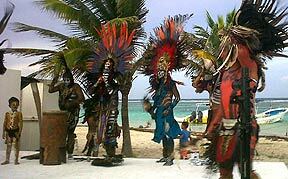 Closing Ceremony of Jatsa ja included dancers depicting Aztec and Mayan Ceremonys. Nautical procession- a lovely part of the ceremony where people were invited onto the boats to join in a parade at dusk. 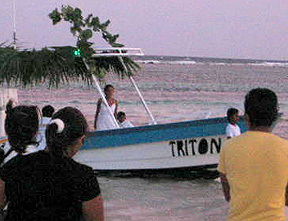 Following the parade, there is a Mayan blessing of the boats and of the seas. 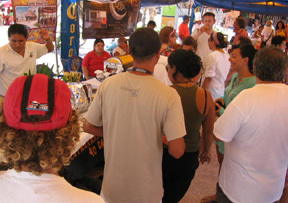 Tasting Table sponsored by the many restaurants in Mahahual and the Costa Maya.